Faculty Awards for Research Excellence are made to recognize, encourage, and reward those individuals whose research or creative endeavors have been particularly successful and are so recognized locally, regionally, and nationally. Most significantly, you become a member of a top ranked university located in the heart of Riyadh, connected not only to regional research institutions with their wealth of opportunities but also to an international network of scholars that are known for their eminence. This is a Boeing funded undergraduate research and design project that commenced in the 2015-2016 academic year. The aim of this project is to design an efficient and reliable solar powered vehicle capable of competing in international competitions. 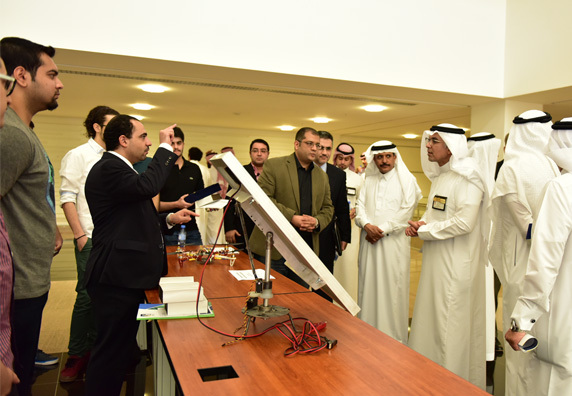 This is a state of the art challenge involving a multidisciplinary team of electrical, mechanical, software and industrial engineering students. Currently in its third year the project continues to develop the skills of the students in research, simulation, experimental design and prototyping, teamwork, and logistics amongst other HQP skills, and it helps them improve their understanding and grades in their courses. The Alfaisal Centre for Research and Consultancy Studies which is under the ORG acts as an umbrella organization for channelling research, educational training and contract projects as well as consulting studies between external organizations, both public and private, and Alfaisal faculty members. Academic faculty members at Alfaisal University are normally appointed to a faculty rank in the Regular Professor series: Assistant Professor, Associate Professor, and Professor.